The challenge: Over four to five years, permanently house 300 to 400 chronically homeless individuals in the city of Sarasota. The strategy: Utilize a Housing First approach and encourage a new nonprofit organization to manage the effort, with support from the city. 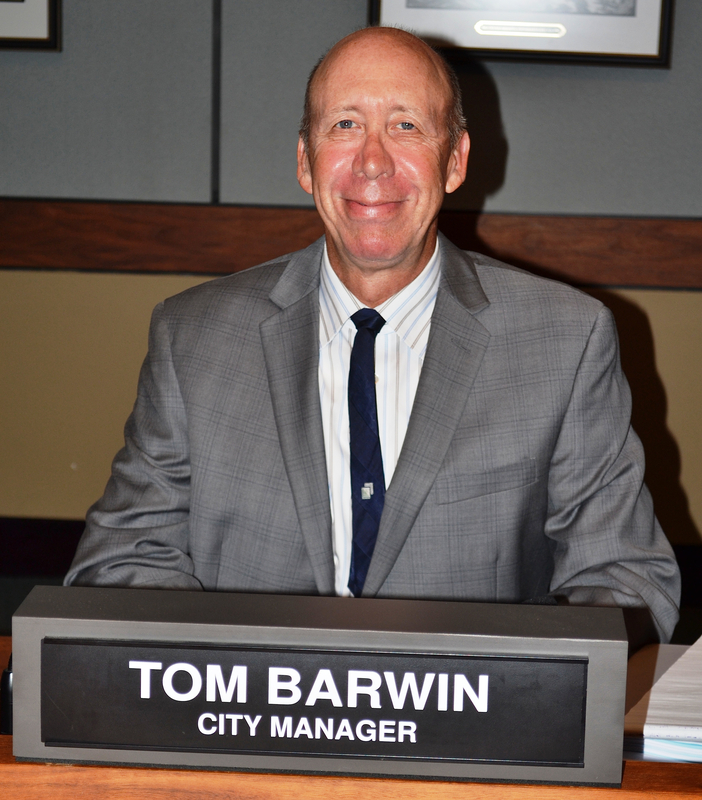 City Manager Tom Barwin and the city commissioners, who recently adopted this strategy, say focusing on housing is the path to finally addressing Sarasota’s homelessness woes. Barwin said his recent trip to Salt Lake City cemented his belief in the Housing First approach. He traveled there with Doug Logan, the city’s director of special initiatives on chronic homelessness, and a contingent of leaders from the city of Orlando, “We have come to the conclusion that the housing element is the foundation,” Barwin told The Sarasota News Leader this week. But can local champions of Housing First duplicate the success of Salt Lake City — where, in the mid-2000s, community leaders put into place a progressive program that has become a model for Housing First? Salt Lake City emphasizes long-term housing for homeless people at the same time it pairs each of them with providers of the social service assistance they need, a focus that has resulted in a big reduction in the chronically homeless, Salt Lake leaders told the Sarasota/Orlando delegation, Barwin related to the City Commission during its Nov. 2 meeting. 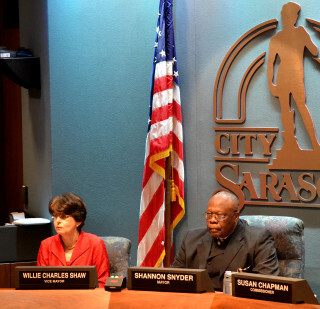 In Sarasota, city staff members estimate a similar effort will cost $31 million. It will require the creation of a new not-for-profit dedicated to the goal of permanently housing the homeless. It will also need a combination of government funding and philanthropic contributions to become successful. And perhaps the biggest challenge for city officials will be selling the idea to the Sarasota county commissioners, who, to date, have advocated for nationally known homelessness consultant Robert Marbut’s plan for an emergency shelter. In such a facility, Marbut says, homeless individuals would receive social services, and then they could transition into long-term housing. 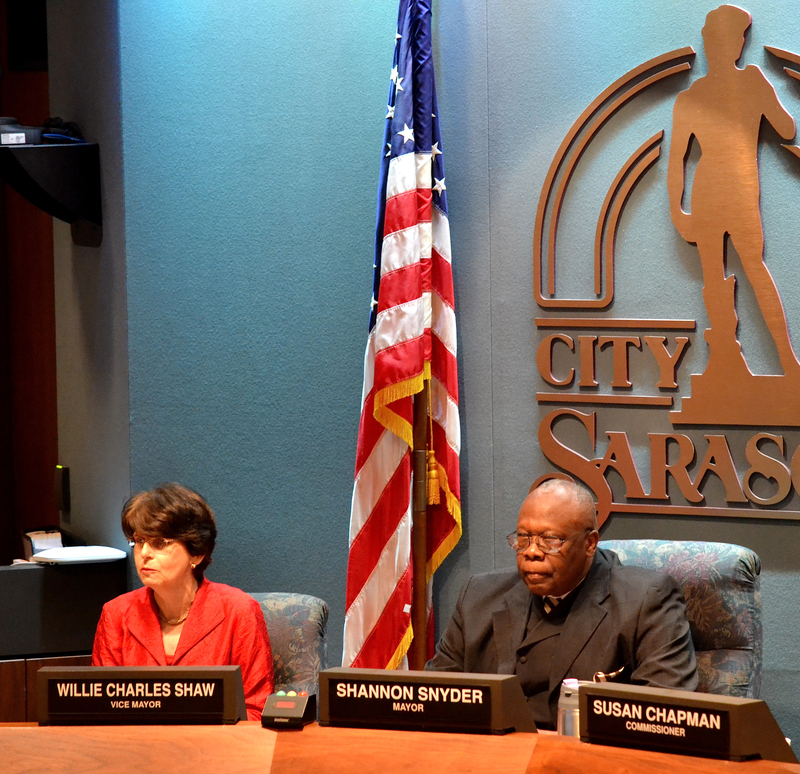 Implementing Housing First will be tough, Sarasota staff and commissioners have indicated. But Barwin has seen support for the model grow in the city. Some residents are “anxious for us to deal with this [issue] in a more humane and more intelligent, [financially] prudent way,” he added. One such person has talked with Barwin about the possibility of donating half a million dollars or more to a Housing First initiative, Barwin told the News Leader. “That is a start,” Barwin said. “Ten years from now, someone will look back and say, ‘It was done here,’” Barwin added. For Barwin, the Housing First model is a more humanitarian solution. He also considers it a huge step toward improving the quality of life for residents, tourists and business owners who have dealt with issues associated with the growing homeless population in the community — from people living in camps near downtown Sarasota to those panhandling, which can scare customers away from downtown businesses. Following their unanimous Oct. 27 vote to move forward with a master plan for a Housing First approach, on Nov. 2, the city commissioners again voiced support for the initiative. Board members talked about whether a single, new group should operate the program or whether a series of nonprofits could create a partnership and boost the momentum. Commissioner Liz Alpert emphasized the necessity of a coordinating agency — some entity to oversee the effort. However, the commissioners chose to hold off on a decision about next steps until after their Nov. 6 joint session with the County Commission. “I would think it would be better if we waited until we came away from the meeting with the county,” Mayor Willie Shaw said. Vice Mayor Suzanne Atwell agreed. After the presentation the board heard last week, Shaw added, “I think Commissioner [Susan] Chapman isn’t the only advocate of Housing First.” He spoke of residents who have expressed support for the model. Addressing homelessness is the sole focus of the meeting on Friday, Nov. 6, which is scheduled from 9 a.m. to noon in the Sarasota County Administration Center, located at 1660 Ringling Blvd. in downtown Sarasota. Given the past disagreements between the two boards on the matter — they have not had a joint meeting since June 2014, when the topic of chronic homelessness also was on the agenda — tense discussions may ensue again. That is because the city’s definitive move toward Housing First sets up the prospect of another showdown with the county commissioners. Even with two new members having been elected to the county board since June 2014, the county commissioners have continued to advocate for Marbut’s approach, emphasizing the establishment of an emergency shelter. The ongoing Sarasota debate over how to address homelessness has garnered some national attention, as a team representing PBS NewsHour spent the past few days in the community conducting telephone and live interviews for a segment to be broadcast Nov. 14 on WEDU. 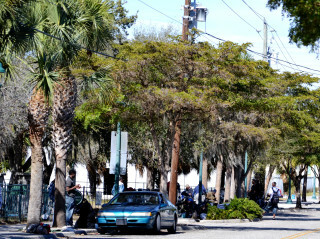 The show will cover a lawsuit the Americans for Civil Liberties Union (ACLU) Foundation of Florida recently filed against the city on behalf of six homeless men, as well as Friday’s joint meeting. In the meantime, city staff’s recommendation is to seek a new entity to operate the program that will be focused on keeping homeless individuals in homes. Scott Eller, co-founder of Renaissance Manor, voiced a willingness Monday to join the effort. Renaissance Manor is a not-for-profit organization that provides local housing assistance, serving low-income people with mental health and “Co-Occurring Disorders,” according to its website. 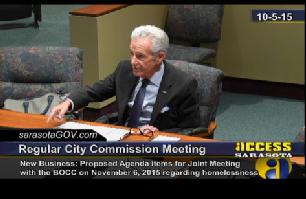 “Seventy percent of the people who come through our door are homeless, of which about 50 percent are chronically homeless,” Eller told the commissioners. Eller also noted that, in regard to assistance for mentally ill individuals, state laws stipulate that a housing entity must remain separate from an agency that provides and oversees social services for the clients. “In 2005, approximately 2,000 of these chronically homeless people lived in the state of Utah, mainly in and around Salt Lake City. Many different agencies and groups — governmental and nonprofit, charitable and religious — worked to get them back on their feet and off the streets. But the numbers and costs just kept going up,” the article says. “The model for dealing with the chronically homeless at that time, both here and in most places across the nation, was to get them ‘ready’ for housing by guiding them through drug rehabilitation programs or mental-health counseling, or both,” the report adds. At that time, Salt Lake City was relying on emergency shelters and rehabilitation programs, the report continues. 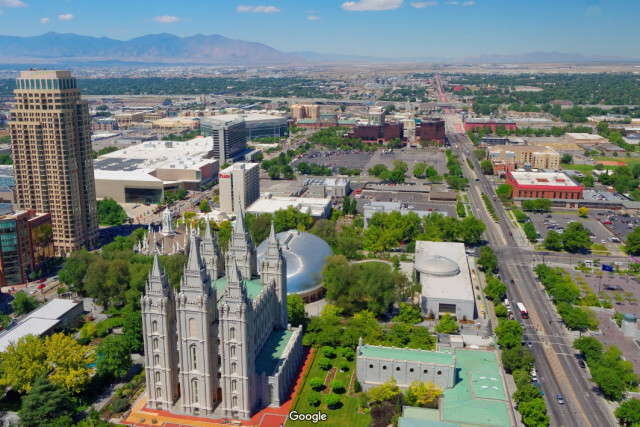 That was before the mid-2000s, when Lloyd Pendleton and other proponents of Housing First worked to shape a new approach in Salt Lake City and then on selling the idea to the conservative state legislature and church leaders. In Sarasota, perhaps the toughest challenge will be selling the Housing First idea to the County Commission. Barwin notes that Logan and Wayne Applebee, the county’s homelessness services director, are in contact virtually on a daily basis. In addition, Barwin pointed out, it took city leaders a while to learn for themselves the merits of Housing First. He said he hopes county leaders can come to share the same level of regard the city commissioners have for the approach. Barwin added that his and Logan’s recent trip to Salt Lake City cemented his belief in Housing First. “We have come to the conclusion that the housing element is the foundation,” Barwin said.